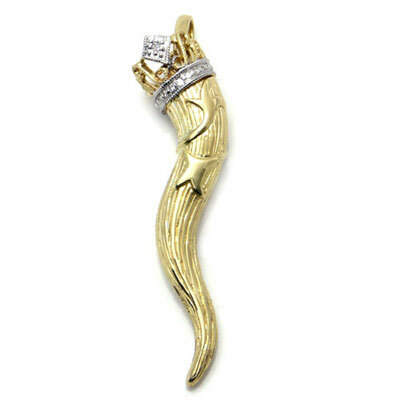 Although it comes from a classic design of Italian horn, this pendant looks so avant-garde and elegant. By wearing this pendant along with the gold necklace, you will get the privilege to live like a royal, symbolized especially by the crown on top of the pendant. As it is made with 14k yellow gold, the pendant will radiate your style. Moreover, the shiny diamonds bring the final touch to your wonderful appearance.